Puzzle PA Services doesn’t just exist to assist you with your everyday administrative tasks. My service goes way beyond the everyday. I appreciate the effort that goes into the planning of large events and major projects, and how time-consuming they can be. And I can help take the pressure off you, freeing up your time for other things. Whether you’re entertaining for business or running a trade show, Puzzle PA Services can liaise with your suppliers on your behalf, and look after those tiny, last-minute details, to ensure your event has that ‘wow factor’ and exceeds your clients’ expectations. I can help co-ordinate the people and services involved in any project – large or small – to ensure it’s completed on time and to budget. From concept to completion, you’ll be able to rest assured that things are running smoothly, and I’ll keep you updated with regular progress reports. At Puzzle PA Services, you can relax in the knowledge that your event or project is in safe hands. Why not get in touch for a chat today to discuss how I may be able to help. 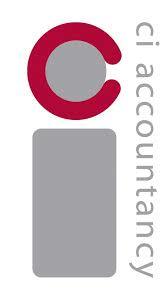 Rachael has been an invaluable help to me and my company, K3 Accounting Limited. Via her business of Puzzle PA Services she acts as my Administrative Assistant dealing with many tasks including technical bookkeeping on Quickbooks Online. Rachael has taken it upon herself to research and train where required and is not afraid to ask a question – something I hold in high regard. She does not need to ask twice though and is already a valuable member of my team. If you are looking for someone to save you time and who has integrity and trust as core values then look no further than Rachael at Puzzle PA Services. She is utterly reliable and trustworthy, very resourceful, and when needed, self reliant whilst fully appreciating her boundaries. I wouldn't hesitate in commending her to any business person who needs assistance in organizing themselves, their work flow, their travel and their scheduling.